My sister is upgrading the tank for her turtles to a 20 gallon and asked me to make a stand for it. She wants a lip on top so her kids can’t easily pull or push it off and she wants it sturdy. The new tank is going to be 30″ long by 12″ wide by 12″ tall so I am designing it to be 30 1/4″ long by 12 1/4″ wide so there is a little wiggle room to get the tank in and out. 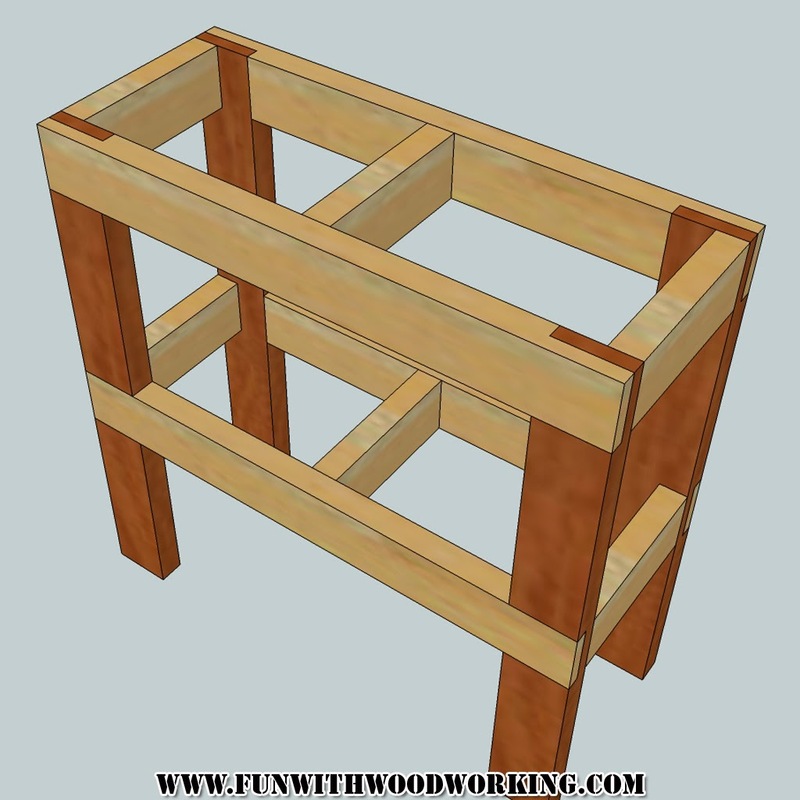 I am making the basic frame out of 2×4’s and then I am going to cover it with 3/4″ pine. The 2×4’s are going to go together with half lap joints and the pine will be glued and nailed onto the 2×4 frame. I believe that I should be able to make it out of 4 – 2x4x8’s, 3 – 1x8x6’s, 5 – 1x6x5’s and half a sheet of 1/2″ plywood. 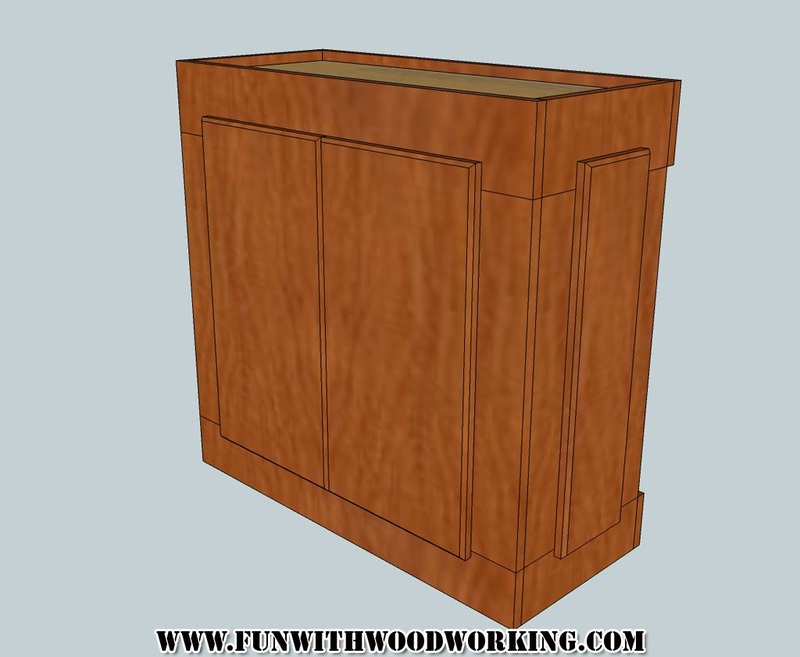 Here is what I came up with in Sketchup. Have you ever wondered just how much work goes into building one of those expanding round tables?